NEW YORK -- Alden Ehrenreich has taken control of the Millennium Falcon. 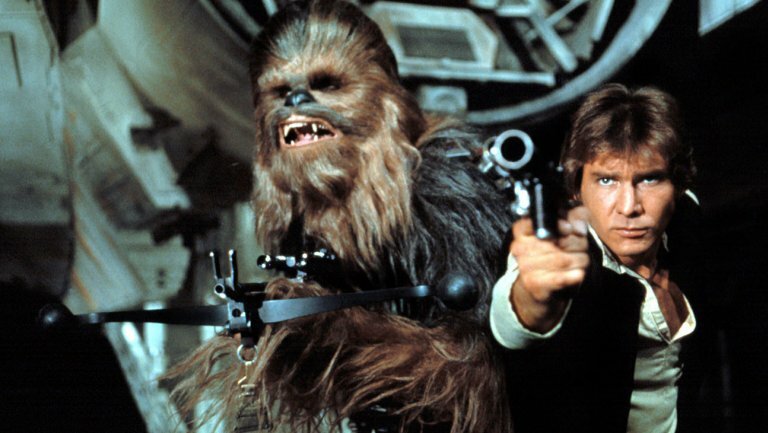 The Han Solo “Star Wars” spinoff has begun production. The Walt Disney Co. announced that shooting began at London’s Pinewood Studios on Monday. To kick off the untitled Han Solo movie, the studio released a photo of the cast at the controls of the Millennium Falcon. Ehrenreich plays a younger version of Harrison Ford’s iconic smuggler and is seated amid cast members including Woody Harrelson, Emilia Clarke, “Fleabag” star Phoebe Waller-Bridge and Donald Glover, who plays Lando Calrissian. Actor Joonas Suatamo takes over the role of Chewbacca, previously played by Peter Mayhew. And though she’s not in the photo, Disney confirmed that “Westworld” star Thandie Newton will also star. Disney will release the film May 25, 2018.